Ball Grid Array (BGA) Reballing: Using cutting edge technology and repair equipments, we remove the solder that is responsible for the video problems from the chip attached to the motherboard and fix new solder balls that are more strong and flexible. Reflow: In this process, we take advantage of infra-red oven to eliminate cracks seen on solder that bond the chips onto the motherboard. This is done by dissolving the solder and reinstating the connection. Our Ball Grid Array (BGA) reballing and reflow services are backed by 90 days back to base warranty. 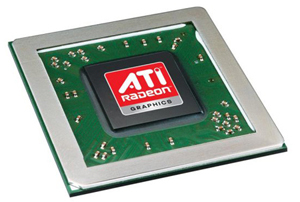 Graphics chip or video card / Motherboard replacement: If both of the aforesaid options do not work, then we suggest you to replace the existing graphics card with a brand new graphics processing unit. There are also instances in which your laptop may entail motherboard replacement due to graphics processor problems that are beyond repair. In fact, our outstanding technicians undertake this task with utmost perfection while making sure that it is cost effective. 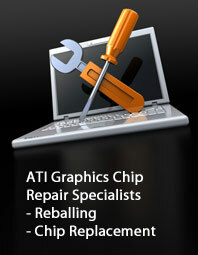 Learn more about our London Alienware ATI graphics repair and graphics processor replacement services by contacting us at 020 7064 4999 or emailing us at info@atigraphiccardrepair.com. Alternatively, you can also walk into our repair centre based at 80 Willow Walk, The Willows, Unit 1, London SE1 5SY. Our office hours are from 9:00 am to 6:00 pm, Monday to Saturday.